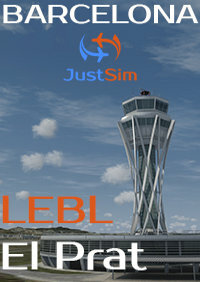 If you previously purchased JUSTSIM - BARCELONA EL PRAT LEBL FSX P3D or JUSTSIM - BARCELONA EL PRAT LEBL P3D at simMarket, you are entitled to the special upgrade price of EUR 5.50 only. NOTE: The special upgrade price will be awarded automatically, therefore you must be logged into your same account used to purchase the previous version! If in doubt contact simMarket support first! NO REFUNDS GIVEN! The Barcelona–Madrid air shuttle service, known as the "Puente Aereo" (in Spanish), or "Pont Aeri" (in Catalan) literally "Air Bridge", was the world's busiest route until 2008, with the highest number of flight operations (971 per week) in 2007. The schedule has been reduced since February 2008, when a Madrid–Barcelona high-speed rail line was opened, covering the distance in 2 hours 30 minutes, and quickly became popular. Texture ground polygons was changed. Ground polygons were compiled using SDK 4.4-PBR materials used. More than 45 Parking lots were added/changed. The marking of the Parking lots has been changed. Animated wind socks (SODE) have been added. AFCAD file has been modified. A custom profile file for GSX has been added. 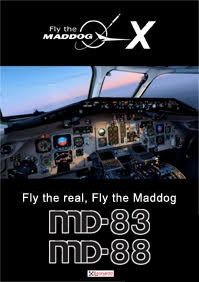 Visual Docking Guidance System (VDGS) (SODE+GSX)have been added. Lighting on the runway taxiways has been changed. Dynamic lighting has been addedchanged. Ground polygons made with the requirements of the SDK Prepad 3D. It's truly incredible how these guys continuously revisit their older products and keep them up-to-date for such a small fee. Barcelona is no exception when it comes to exceptional value for money! This fantastic update makes Justsim's LEBL the best Barcelona scenery around, with superb visuals and excellent performance. I am literally stunned and at the same time it's great to know that the money you've spent is money well spent because the frequent updates extend the lifespan of the product, keeping them in top shape for a long time for us to enjoy. Hats off, this is what a scenery should be like these days! Looking forward to whatever comes next from Andrei and his team. Five stars, easily! g forward to whatever comes next from Andrei and his team. Five stars, easily!